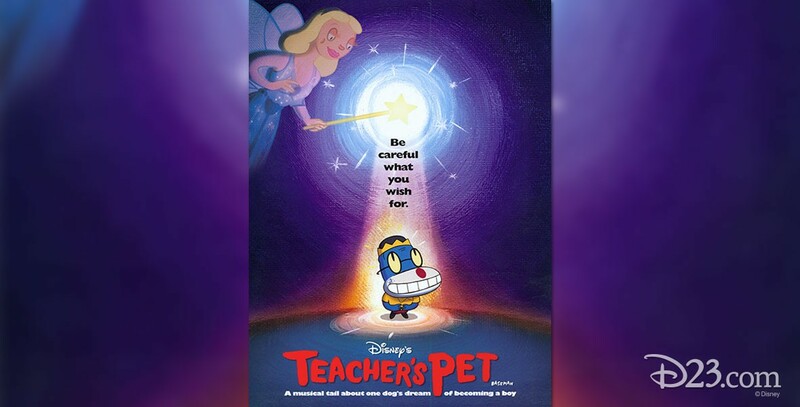 Teacher’s Pet (film) Spot, a talking canine, has the ultimate wish of becoming a real boy. When the opportunity presents itself, through the DNA manipulations of wacko scientist Dr. Ivan Krank, Spot quickly follows his family to Florida in order to make the evolution to human form. However, Dr. Krank’s experiments have had far-from-perfect results and, although Spot’s transformation to human is complete, not all the calculations are exactly correct. It will take his best buddy Leonard and his quirky pet pals, Mr. Jolly (a cat) and Pretty Boy (a bird), to help him out of his tight spot and try to right this genetic wrong. Directed by Timothy Björklund. Released on January 16, 2004. Voices include Nathan Lane (Spot/Scott), Kelsey Grammer (Dr. Krank), Shaun Fleming (Leonard), Debra Jo Rupp (Mrs. Helperman), David Ogden Stiers (Jolly), Jerry Stiller (Pretty Boy), Paul Reubens (Dennis), Megan Mullaly (Adele), Rob Paulsen (Ian), Wallace Shawn (Principal Strickler), Estelle Harris (Mrs. Boogin), Barry Anger (Jay Thomas). 74 min. Based on the television series created by Gary Baseman.